We welcome all volunteers. To help please get in touch with us. 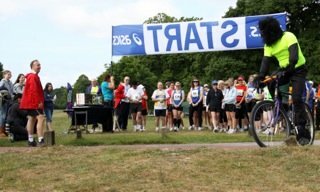 Our main events are based in Richmond Park, under the Richmond Park Marathon banner. Gareth Davies and Ray Povinelli are co-race directors of Richmond Park, Woldingham, and Vanguard Way running events, both half and full marathons. We are extremely excited with our NEW half marathon in Richmond Park, which will appeal to all runners who are either training for London Marathon, or simply want to take part in a well organised event. Richmond Park is our flagship event and one of the most picturesque settings in the land, a perfect venue to hold a running event. All races are well organised and fully marshalled. We provide runners with the ability to run marathons in beautiful and safe surroundings supported by enthusiastic volunteers who ensure all runners receive much needed encouragement as they navigate the ups and downs of the various courses. We welcome runners of all abilities and ethnicity. All events were founded and organised by both Gareth and Ray, who are both marathon runners. Gareth has completed over 250 marathons in all parts of the globe. Being a member of the 100 Marathon Club, Gareth really knows what it takes to run a marathon event. Our aim is always to ensure our events are safe and enjoyable for all runners creating a superb atmosphere for both runners and spectators. Gareth is also an ambassador for Budapest Marathon. We have four great events for you to choose from and are pleased to annouce we have recently added our fourth run to our roster! 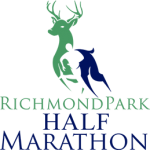 The HALF marathon in Richmond Park takes in the great views and trails of our FULL marthon, in half the size. We have two favoured sponsors, that we use and heartily recommend – Sportingfeet and Sweatshop. If you need any running items for the big day, you know where to go! Our past volunteers have been wonderful every year allowing our events to be voted as one of the top trail marathon runners for atmosphere and support. If you’re running a marathon this year and you’re worried about the task ahead, relax. We’re here to advise you on what to do – click here to find out more. Thanks for all your efforts, it was a great race. Lovely to do a race with small numbers but big support! Really impressive organisation. “Many thanks for putting such a great event for us! Pleasantly surprised to see some of the Marshals who happened to be Greek, and…obviously we had a good chat. Had heard so much about the Richmond Park Marathon and I’m glad I ran it for the first time. 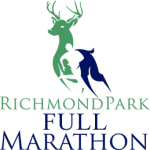 This race is a Full marathon of 26.2m, all within the grounds of the beautiful Richmond Park. Start is at Sheen Gate, and consists of a first lap of 12m, which winds around the inner park. The remaining 14 miles consist of 2 laps of the outer route of park, namely the Tamsin Trail. The finish takes you back to Sheen gate where you will be greeted by an excellent goodie bag, plenty of hydration, snacks, large cheers and a huge pat on the back! In 2015 we had David Weir the GB Paralympic and gold medal winning athlete start our race. All runners will receive their unique finishers medal presented by the Mayor of Richmond. See route map for further details. The Woldingham Half and Full Marathon held its first event in August 2016 and was hailed a great success for all the runners who completed the course – we had over 100 runners completing the event – which included our first ever dog winner Ruby! A trail running delight, the course departs from the spectacular settings of Woldingham School from their main grounds and takes in the delights of; Oxted Downs, VGW trail route for a couple of miles, Slines Oak Road and the Golf Club deep into the valley. Finishing up with the private school road that takes them to the finish of the 13.1 mile lap route again with wonderful views of the surrounding valleys – this race is highly recommended if you love the outdoors and scenic trail routes. The Vanguard Way Marathon is now a well established annual August trail marathon that offers glorious runs from South Croydon out towards Limpsfield past the M25 and back. Runners will actually follow the VGW national trail as it winds through various idyllic woods and small villages up onto the spectacular North Downs Way – actually crossing the Meridian Line twice en route. In 2017 we will also incorporate a VGW half marathon where runners can complete an out and back 13.1mile route that showcases the beautiful Surrey countryside and villages outside of Croydon. Sweatshop believes that every runner, from absolute beginner to international athlete, should have access to the very best equipment. Sportingfeet sell a carefully selected range of great quality sports footwear and insoles. They aim to help you find the right shoes for your chosen sports. UK Athletics Affiliate – their goal is to make British road running the best in the world in terms of organisation, development and performance. 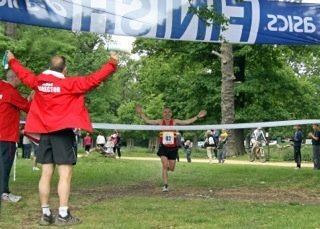 Small but friendly running events within Richmond Royal Park organised by like minded people who understand, and have experience of running successful trail marathons. The Richmond Park Marathon won the Runners World best new marathon award in its inaugural year, and continues to be one of the most popular running events in the South of England. We recommend you do not delay entry, as there is a limit on runner numbers. See route map for further details.